Personal loans for individuals provided on an unsecured basis - find great rates from a range of UK lenders. Personal loans for individuals are provided on an unsecured basis (i.e. there is no need to pledge security such as your home which would otherwise be at risk if you couldn't repay the loan). Full details, terms and conditions can be found on the lenders' websites. 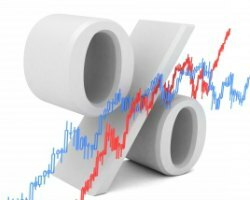 Rates do vary considerably based on your credit rating but be careful in making multiple applications as this can impact adversely on your rating. Some companies will allow you to make an application without running a credit search which can be an advantage. See our article for more details on credit scoring and credit rating, and how to check your current standing. Before starting - if you think you might be able to repay your loan early and have a good credit rating consider Zopa. The peer to peer lender charges no early repayment fees and offers loans from £1,000 to £25,000. If you haven't heard of them - they have been voted 'Moneywise Customer Service Awards' winner for 2015 and 'Most Trusted Personal Loan Provider' for every year from 2010 to 2017 in the Moneywise Awards. Also see what offers your own bank have available. More and more banks are offering better rates to existing customers. This is not really surprising, as they clearly have a better view of how you manage your affairs, but don't assume that as you have been offered a special rate it's the best in the market. One impact of the credit crunch a few years ago was that it really affected the small value loan. Lenders have just decided that it is not economically viable to consider a loan and arrange for it to be opened and run unless they charge a very high arrangement fee. And that would open them to widespread criticism - so they have just pulled out of the market. Credit Unions do however specialise in lending at this level - see more in our special Credit Union feature. Another alternative would be to use a credit card - consider an interest free purchase or balance transfer card if your credit rating is strong - it could save you a small fortune. Do call us if you would like to discuss your options. For the reasons mentioned before there is still not masses of competition in this market although Zopa offer some decent rates, as do some of the supermarket banks. Also consider an interest free purchase credit card if your credit rating is strong enough. Rates are starting to drop once you get over the £5,000 mark. Sainsburys Bank offer very competitive rates. Alternatively have a look at Admiral. Another big drop in the Annual Percentage Rates (APR) kicks in over £7,500, and the competition is fierce - so take advantage of it. Sainsburys Bank and M & S are still amongst the best. Tesco also offer good rates. These rates are correct at the the time of writing but they do change so please do your own research as this information is based on journalistic research only and is not intended to give advice.